With Liberty and Justice for Whom? The faculty and students will embark upon a thorough study of the origins and current status of justice in American society. Drawing from an interdisciplinary perspective, we will consider various definitions and theories of justice, review the way justice is carried out in different settings and historical periods, and examine the possibility of achieving truly just social institutions. Topics to be considered include social and environmental justice, just political and economic systems, criminal justice, just healthcare and educational access, representations of justice in media, as well as concepts of equity, fairness, and equality. By the end of the academic year, we will be able to offer concrete recommendations as to the steps necessary to achieve justice for all in our society. The theme for fall quarter is identifying the problem and clarifying the question. The first quarter of the program will be used to lay the foundation for the rest of the year, both substantively and in terms of the tools necessary to operate effectively in the learning community. We will explore the concept of justice as it is explicated in theory, history, and practice. The concept will be analyzed from both the perspectives of legal system and moral teachings. In seminars, we will read and analyze texts dealing with issues that have historically raised questions of whether justice was achieved. Students will examine their personal experience with justice issues by constructing an autobiographical memoir. Our work will be supplemented with a series of courses designed to assure literacy with words, numbers, and images. Students will have the opportunity to hone their skills in critical reasoning, research, and the use of multimedia and computers. Winter quarter's theme is researching roots, causes, and potential solutions. We will look at specific contemporary societal issues in justice viewed from a variety of institutional perspectives, most notably justice in education, health care, law, science, government, and politics. Students will investigate specific justice issues of interest with the purpose of identifying a particular problem, defining its dimensions, determining its causes, and establishing action plans for its remedy. In the spring, the theme will progress to implementation. The final quarter of the program will be devoted to the design and implementation of projects aimed at addressing the issues of injustice identified in the winter quarter. Seminar groups will combine their efforts to undertake actual programs aimed at assisting the community in righting a current injustice or providing greater justice for the community. The projects may take the form of educational events, publications, multimedia presentations, or art installations to help the community find higher levels of justice. Courses will assist in the successful implementation and evaluation of student group activities. 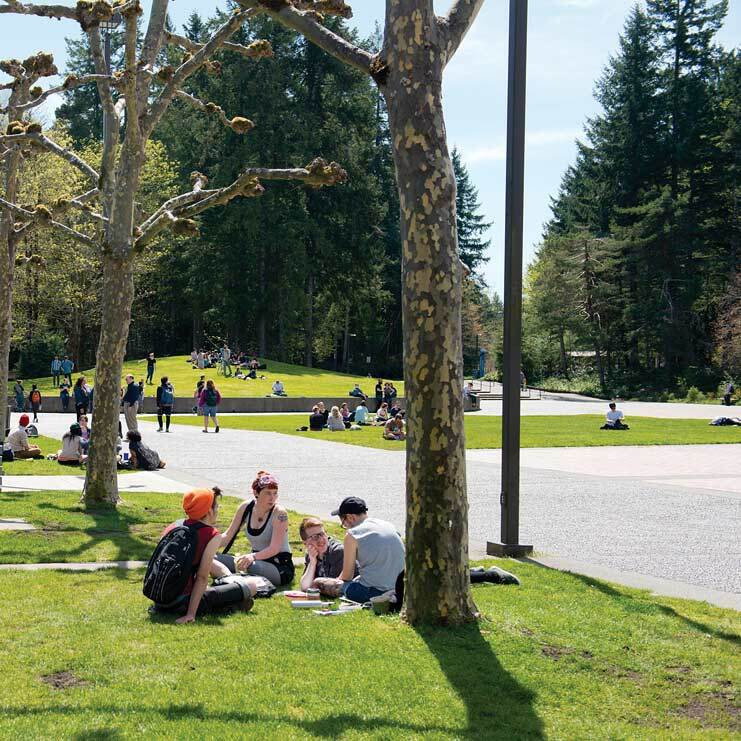 To be formally admitted to the Tacoma Program, prospective students must meet the following criteria: 1) Complete a minimum of 90 transferable college credits or a transferable associate degree. You will start at the Tacoma Program as a junior or senior. 2) Complete an in-person intake interview at the Tacoma location. You can interview either before or after you begin the online application, but your application will not be processed until after your interview. To schedule an interview, call the student services coordinator at (253) 680-3005 or send an email to bufordv@evergreen.edu. $10 per quarter for entrance fees. All students attend Tuesdays and two additional days. A standard schedule consists of the core lyceum/seminar course offered on Tuesdays (6 credits) and two 5-credit classes offered on Mondays, Wednesdays, and Thursdays. This program is offered during the day (10 a.m. to 2 p.m.) and in the evening (6–10 p.m.).